In an innovative, yet somewhat dark approach to real-time predictive maintenance, we treated pump breakdowns like death due to disease to solve Newcrest’s Unearthed challenge. We developed innovative new breakdown algorithms by adapting epidemiological methods to predict pump breakdowns – or any equipment breakdown. FORESTALLTM algorithms update in real-time to automatically notify maintenance planners of impending breakdowns. These algorithms can be deployed in weeks using existing process control systems. Cyclone feed pumps are critical components in any mine processing plant. Downtime costs between $25,000 to $50,000 per hour. In a 12 month period, cyclone pumps had 34 hours of unplanned downtime costing $850,000 – $1.7 M per year. Currently, predictive maintenance is not standard practice in the mining industry and doesn’t use real-time data. The algorithms developed for Newcrest’s pump breakdown challenge offer a step change solution to real-time predictive maintenance. 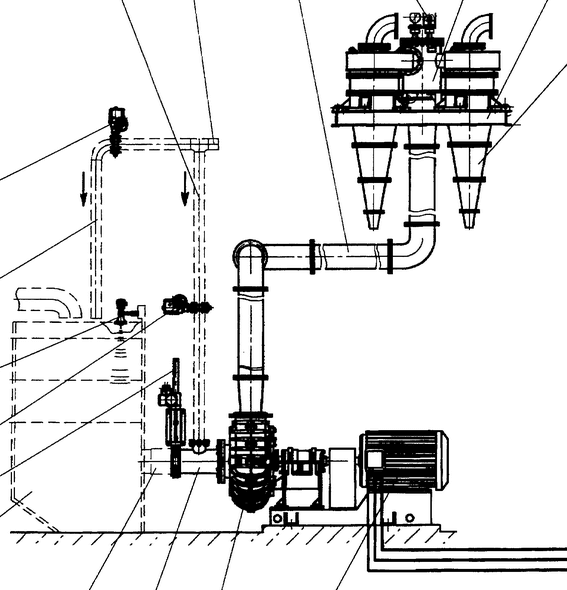 All mines use plant Process Control Systems. Automatically emails maintenance planners and plant managers/supervisors. Standard engineering equipment failure prediction methods weren’t applicable to the pump breakdown data (e.g. Weibull distribution doesn’t fit the data and can only handle complete case studies), and the limited data set added to the difficulty of the challenge set by Newcrest. By modifying and adapting existing epidemiological statistical methods we were able to create a working machine learning algorithm that uses plant process control data to provide real-time breakdown predictions. The reliability of the algorithms can be improved by increasing the number of breakdown cases used to train the algorithm. For example, the FORESTALLTM 28 day algorithm shown below is based upon 17 pump breakdown cases. By going back a few more years in the PI database, the reliability of the algorithm would improve. This assumes that each pump rebuild is like a reset on the pump’s maintenance clock – Newcrest’s Unearthed industry mentors advised us that this assumption is reasonable. A blue alert email when there is a 70% probability that pump will breakdown in 28 days. An amber alert when there is an 80% probability that a pump will breakdown in 7 days. A red alert when there is a 90% probability of breakdown in 24 hours. Root cause Business Improvement initiatives. Finally, a big thank-you to the Unearthed organisers and industry mentors from Newcrest and BHPBilliton for enabling start-ups like PETRA® to demonstrate our capabilities. Clearly, pumps are just one piece of equipment in the mine processing plant, and the opportunity to improve productivity by forestalling breakdowns is highly scaleable! Don’t wait for another breakdown to stop production, contact us today to deploy FORESTALLTM within weeks.